New Zealand Bankers’ Association chair David McLean said the industry shared the sense of shock of all New Zealanders and wants to support the families now and in the future. “This stands alongside the generosity of individual New Zealanders supporting the people affected by this attack,” Grant Robertson said. David McLean said the contribution came from across the banking sector. 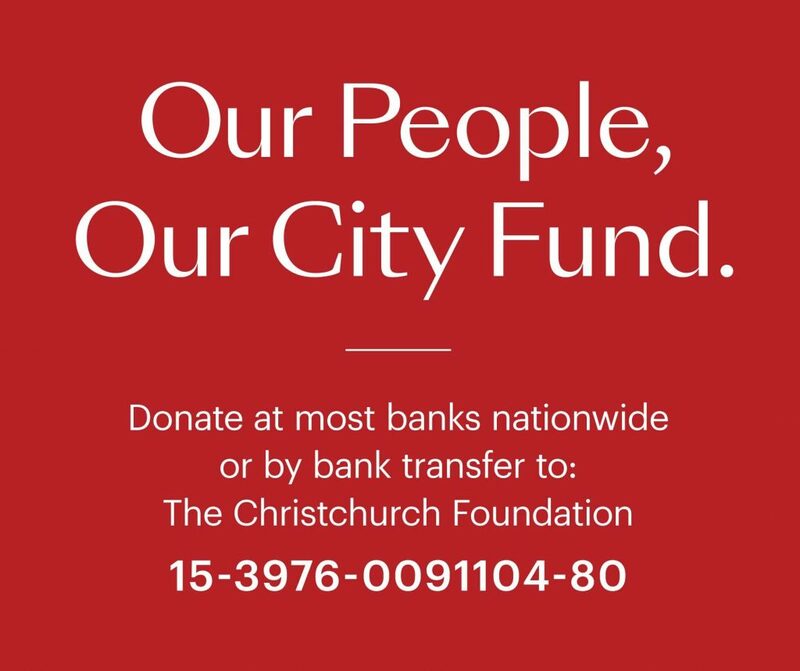 “New Zealand Bankers’ Association members have committed $1 million to the Our People, Our City Fund, which will meet the immediate and long term needs of the families most directly affected. New Zealanders can join us in donating to this important cause. Donations can be made at most banks around New Zealand. Amy Carter, chief executive of the Christchurch Foundation, welcomed this initiative. The account number to donate to is: 15-3976-0091104-80. Donations can be made online or at most bank branches. The banking industry’s contribution to the Our People, Our City Fund has been made in accordance with Islamic principles and in consultation with the Muslim community.